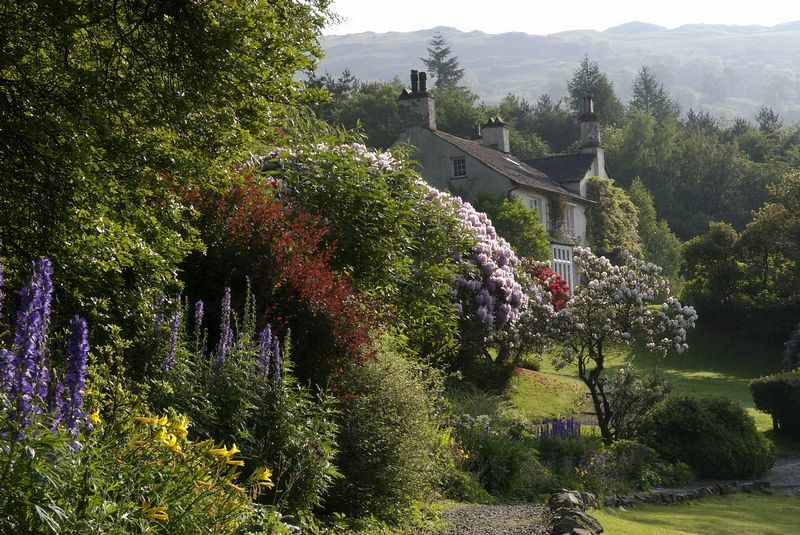 Rydal Mount, in the heart of the Lake District, lies between Ambleside and Grasmere, and commands glorious views of Lake Windermere, Rydal Water and the surrounding fells. The house, which now belongs to the descendants of Wordsworth, retains a lived-in, family atmosphere and has seen little change since the poet and his family came to live there in 1813. The dining room, part of the old Tudor cottage, with its original flagged floor and oak beams, contrasts pleasingly with the larger proportions of the drawing room and library, added in 1750. Also to be seen are the family bedrooms and Wordsworth's attic study which he used when he was Poet Laureate. The house contains portraits, personal possessions and first editions of the poet's work. Wordsworth was a keen landscape gardener and the four acre garden remains very much as he designed it. It consists of fell-side terraces, including the recently discovered 'Dora's Terrace', lawns, rock pools and an ancient mound. There are rare shrubs and, in season, the daffodils, bluebells and rhododendrons produce a spectacular display of colour. 1½ miles from Ambleside on the A591 Grasmere Road. Free Parking.